Design to connect all around Maruku. This blog post is a case study. 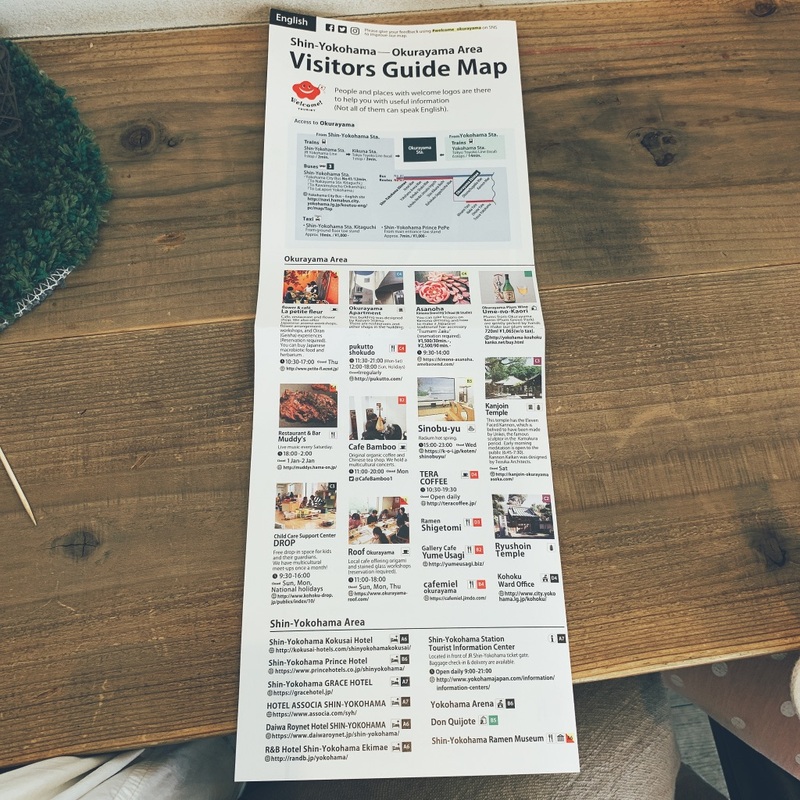 It is a very local guide map for long-term guests coming from overseas. 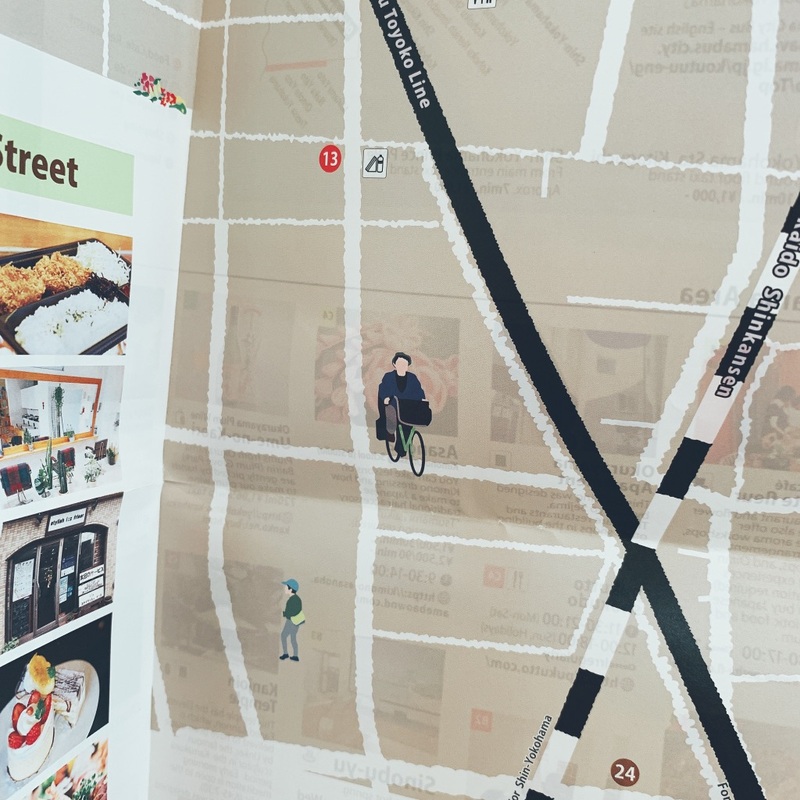 タウンニュースさんでも取り上げてもらいました。This map was also featured in Town News. 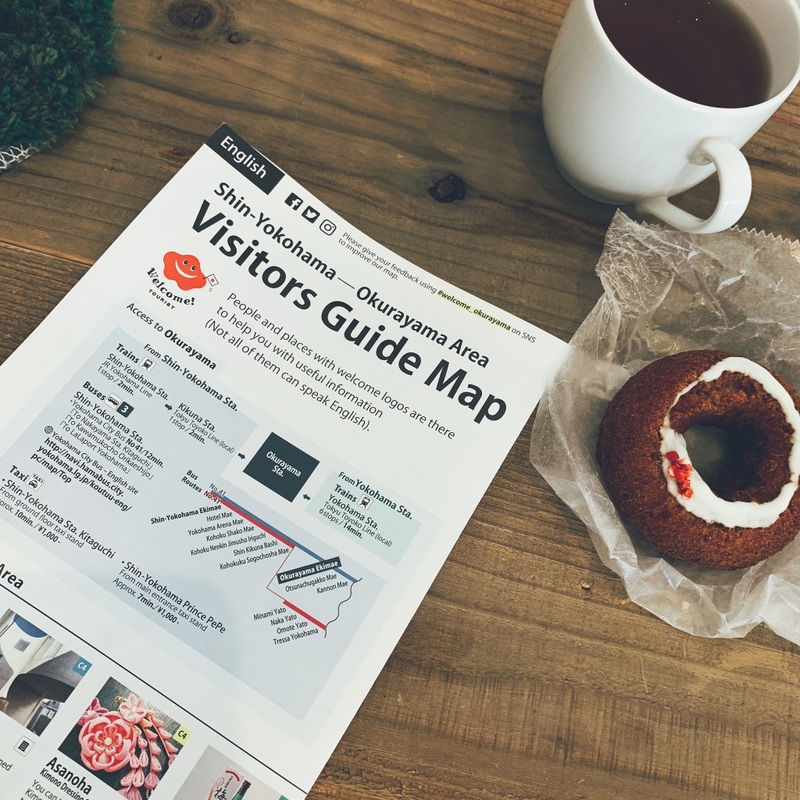 Okurayama Donut shop Floresta also had this map. Access to Shinkansen is very convenient for Shin-Yokohama, Kikuna, Okurayama area where I live. Moreover, while there are fields and greenery, it is a residential area that is as easy to get out to downtown. The Okurayama area is especially active in this area. There is a map production request from the store association at Okurayama OHESO in the local community space, and I also participate.Production starts in earnest at the beginning of December 2018. The target of this map is foreign tourists during a long stay in Shin-Yokohama. The 2020 Tokyo Olympics is also close.There is also a Nissan Studium  where the Rugby World Cup is scheduled to be held, and the Yokohama Arena , which is a major event facility for concerts, etc., is expected to be close to visitors. Japan is not alone = Kyoto, Tokyo. Where there are people who live and work everyday = Local Japan is also a figure of Real Japan, and I think that there are few opportunities for foreigners to easily know. No matter if it is a Local area with tourist resources, it's just a day in a typical city. I think this is "the incident is happening in the field" = Real Japan. It's a little spoiler, but it's not just a guide to the shops around there. Therefore, it is a map that is supposed to include interaction with local shopkeepers and staff. and to increase the value of Japan. For me, who was in the community sociology seminar at university, the multi-dimensional regional movements are very interesting and attractive. The thought, decision-making, and actions of each human being are linked to create one big swell on a regional basis and propagate it to other regions in an unexpected way. It seems to be the place where the power of "people" is the most tested, as it seems to be the site of the most realistic tasks that seem to be distant from the big theme seen in the media. That's why I believe that it is a place where you can take advantage of the power of design (meaning that you have the function and rebuild it). The behind-the-scenes story of the production that happened in such a spot is also quite hot. This project is essentially a company scale, but it is also quite amazing that there is a potential to get over such places with the power of the local mom and middle. People involved in the project are also very interesting. How can such people gather and let unknown foreign tourists know the fun of this area? I used my head and feet to make a map. I felt that I had done the project for a long time in a short period of time, and I had a very strong experience as a social and local recommended Yokohama at-home mom designer. All English in this article relies on Google Translate. 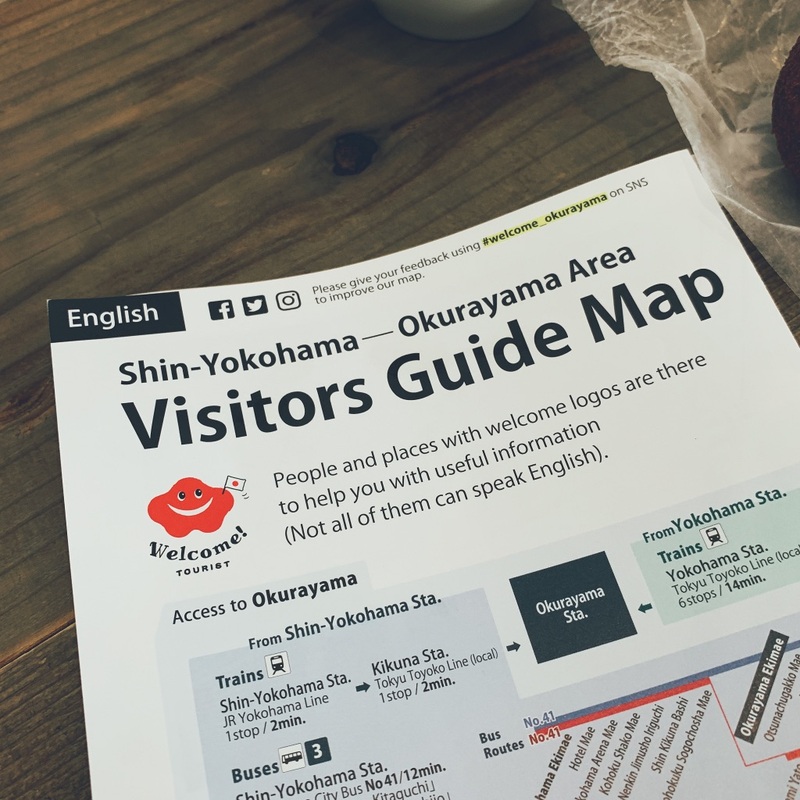 The access to Okurayama is also easy to understand! 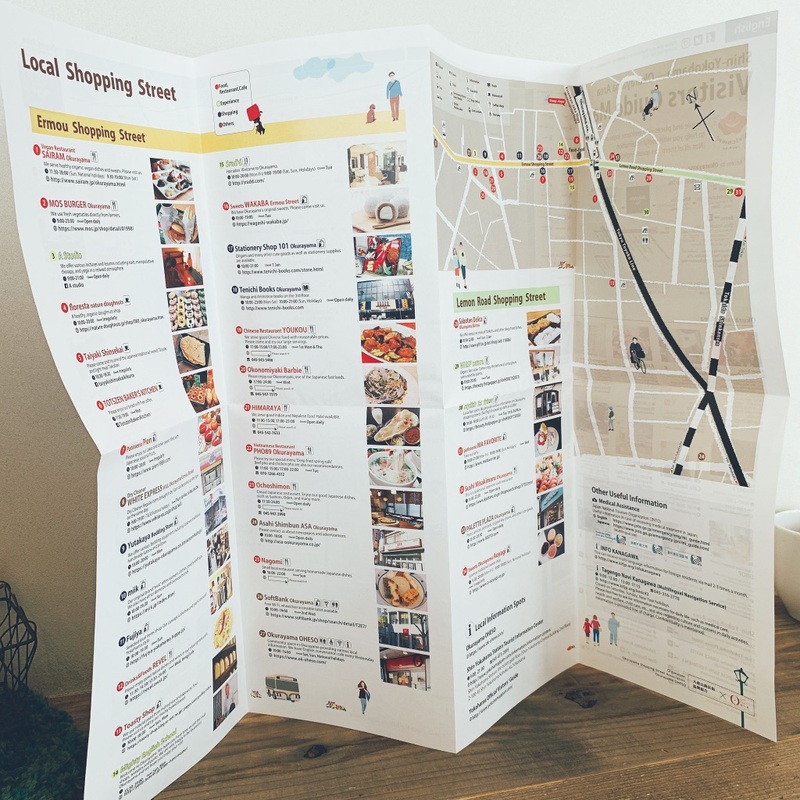 On the back side is a map of the shopping mall of overseas travelers welcome on delicious! Please go! This illustration is actually my son's and husband's motif. HA HA…! Mr. Yamada of the shopping association has also appeared somewhere, so look for it! 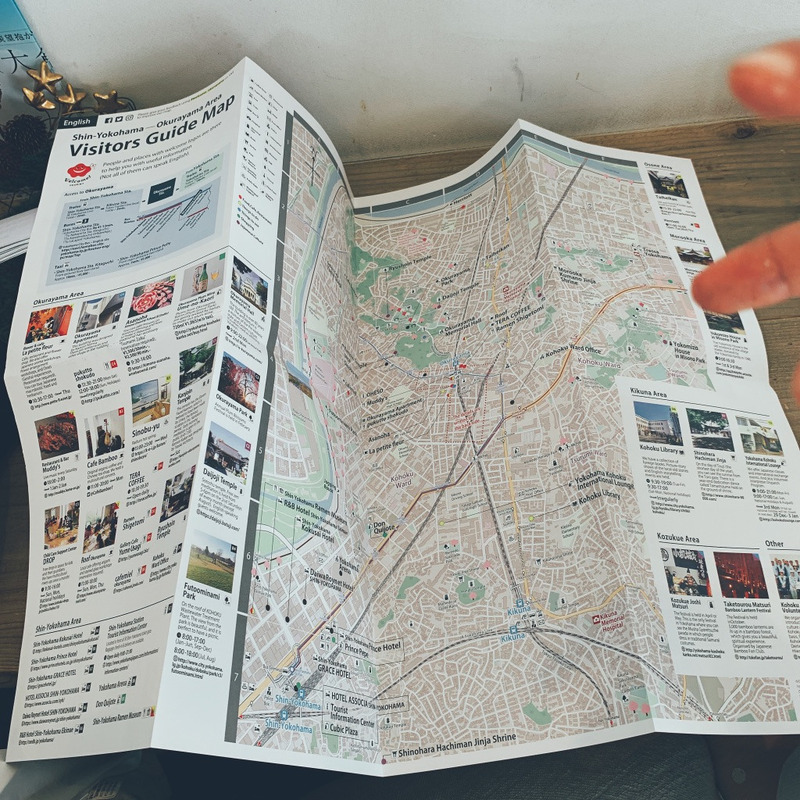 Anyway, get a map and see! Then visit Shin-Yokohama to the Okurayama area! I think that it will be a fun map for Local map enthusiasts, because you can see the attraction of the shop menu and contact information that you usually see on a gourmet site and that is a bit different!